It's turning into the most wonderful time of year! After seeing decorations on display at Short Pump Town Center and my first snowfall of the season in New York last weekend, I couldn't wait any longer! 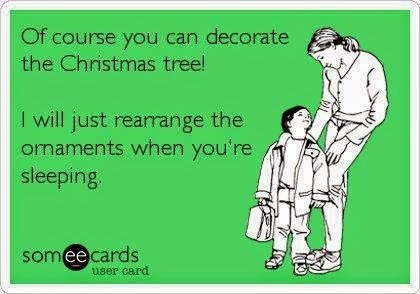 Growing up, my parent's would call me "the Christmas girl" because I loved getting the house decorated early for the holiday season… and I still do to this day. I saw this eCard and immediately knew this will be me one day. To my future children, I am sorry, but this will happen. Who knows, my parents probably did the same thing to me! Baker Santa is from Kohl's back in 2010. Stainless utensil set is from Crate and Barrel, 2011. 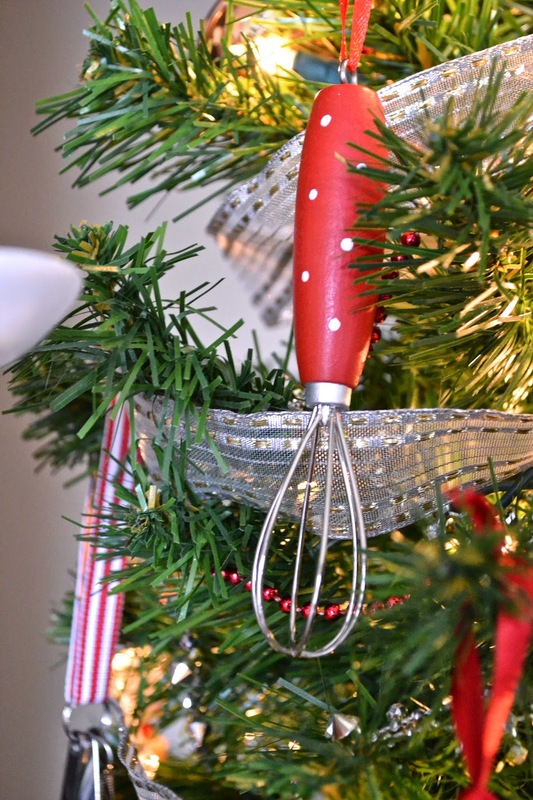 Red kitchen ornaments are from Sur la Table, 2011. 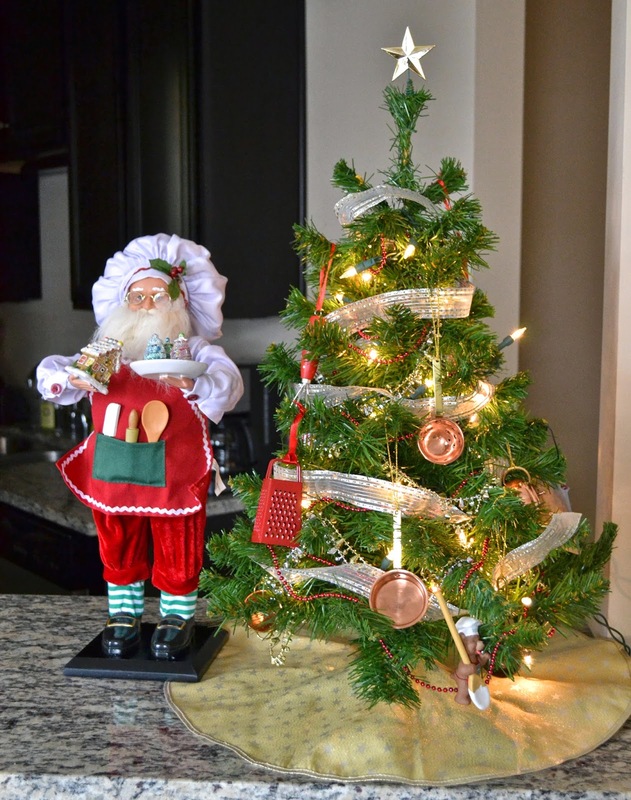 Copper ornaments are an eBay win, 2012. The best for last - the tree is from my American Girl collection! 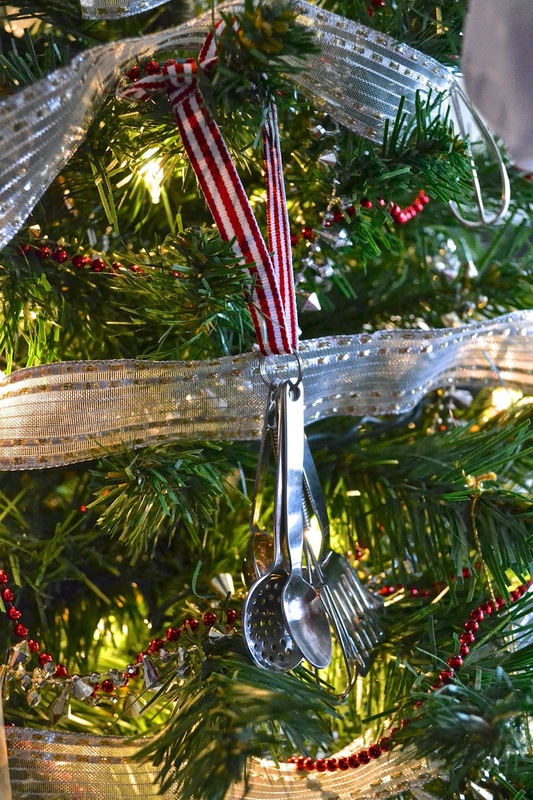 Check out these links from previous posts of my culinary tree and baker Santa.